Kitchen cabinet is one of the most important in our kitchen area just because cabinets are the focal point of a kitchen. There are lots of different design and materials using to make the kitchen cabinet. 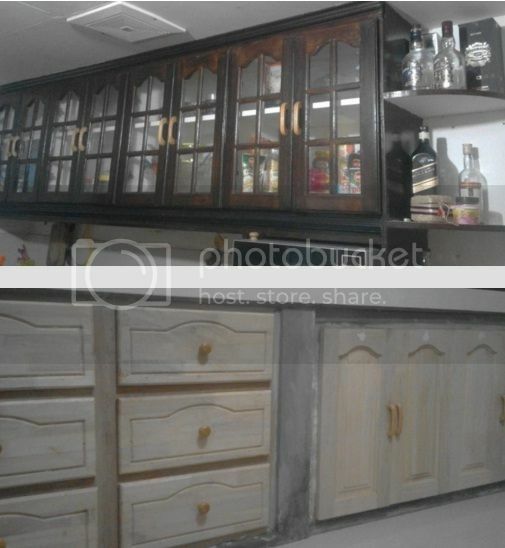 I thought that cabinet is one of the furniture in kitchen area and the designs will represents the personality of every owner. Anyhow, my hubby and I had planned to decide to build the kitchen cabinet in our kitchen area. My hubby bought drawer slide size materials for the drawers, handle, and door made of wood materials. Good because today there are lots of online store to find what you need. You can easy to choose the different design for the affordable price. The he has taken the carpenters. Then after two days the kitchen cabinet was finished but no paint also. I just post the picture of my kitchen hanging cabinet had done last year. And another cabinet had done last month.